In accordance with the City’s Snow Emergency Procedures, Mayor Joseph A. Curtatone has declared a snow emergency for the City of Somerville to go into effect at 2 p.m. on Saturday, Dec. 14. During snow emergencies, parking is allowed on the odd-numbered side of the street only (unless otherwise posted). Cars not moved by 6 p.m. Saturday evening will be subject to ticketing and towing. Beginning at 6 p.m., residents unable to find a parking space on the odd-numbered side of the street may park in any municipal or school parking lot for the duration of the emergency. 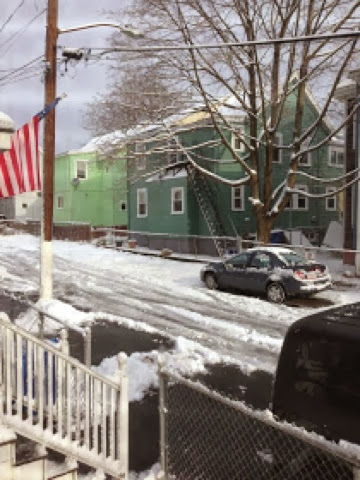 Full snow emergency and snow removal policies may be found on the City’s website atwww.somervillema.gov/snow. Residents are also encouraged to sign up for the City's alert system to receive notification by phone, email and/or text message in the event of emergencies or with important information for your neighborhood. Residents may also sign up for alerts by calling 311. • Flashing blue lights activated at 22 key intersections in the City (when lights are flashing, a snow emergency is in effect). Once a snow emergency is declared, vehicle owners will have four hours (unless otherwise noted) in which to move their vehicles to the odd-numbered side of the street (unless otherwise posted), or they will be ticketed and towed. Municipal and school lots will be made available at no cost to residents during snow emergencies. It is important that vehicles only be parked on one side of the street as noted above to ensure plows can make all roads accessible and safe, particularly for emergency vehicles.